Meetings with associations, organizations and project teams are an important part of our company philosophy. Only through the active exchange of ideas, thoughts and experiences with experts from the industry is it possible to keep up to date with technology and to always be aware of market expectations. The close relationships between the associations, organizations and the industry is vital. “From experience – to experience” – both sides profit from the knowledge of the other. The work of many committees provides impressive evidence – they develop and create standards, features and functions. Stimuli from meetings with partners, experts and association members frequently flow into further development of our products. 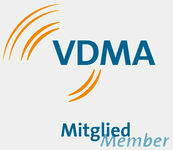 The VDMA (Verband Deutscher Maschinen- und Anlagenbau - German Engineering Federation) is one of the key association service providers in Europe and offers the largest engineering industry network in Europe. The VDMA covers the entire process chain - everything from components and plant manufacturers, system suppliers and system integrators through to service providers. We reflect the varied customer-supplier relations all along the value adding chain, permitting both industry-specific and intra-industry cooperation.